I've enjoyed the classes I've taken here and I've taken from many of the instructors. They've been quality classes with clear instruction. The classes have helped me bring my pelvis into balance and relieved my back pain. I went in for my regular adjustment today and I didn't even need one, following a most wonderful class I took yesterday. I can't wait to take my next class! The instructors are friendly, encouraging, and very knowledgeable. Highly recommend! I've been going to The Pilates Center for some time and can't say enough good things about it. Not only am I stronger, but the minor aches and pains I had before starting are basically gone. I started back because my legs and tummy were starting to shall we say, sag : ) and after only a few weeks there's a noticeable difference. In addition to the health benefits, I also love the instructors and my fellow students. Highly recommend! At the age of 63, having participated in virtually no regular form of exercise for 40 years, I called the Pilates Center. I had recently stopped all anti-inflammatory meds, which I had been relying on for arthritis and fibromyalgia pain, at the order of my doctor. I was frankly terrified at the idea of taking up any physical activity, since I had never succeeded at even the simplest phys ed classes. Jenelle calmed my fears on the phone and assured me that they would start wherever I was. Where I was may have been a very low level of fitness, but my instructor, Robin, never alluded to my weaknesses, only praising my accomplishments. Now, 18 months later, I no longer have pain in my hips or knees. I am much stronger and able to lift heavy items more easily. My weight has changed by only a few pounds and, no, I ll never be a size 8, but my clothes fit better and my posture is better. I intend to continue my classes at the Pilates Center. This is the perfect place for anyone interested in Pilates, with truly excellent, knowledgeable, and compassionate instructors. I would recommend it to anyone. I only started doing Pilates a few months ago. I love that the exercises focus on strength building and flexibility. Just what I need! I wish I had known about this place sooner! The instructors are very nice, friendly, and knowledgeable. The studio is clean and conveniently located. I have been attending private & group classes at The Pilates Center for over 3 years (2010 to present) & am really glad I chose to start with Pilates at this studio. It is a beautiful welcoming space and most of all the instructors are really well trained and know what to look for to help you. Since starting here I have noticed more increase in my muscle tone and core strength than with *anything* else I have tried - even the gym! Leave a voicemail & they will call you back. I can highly recommend The Pilates Center - it's in the same center as Walgreens at Ridgelea Ave & Camp Bowie, upstairs right above the Smashburger. The Pilates Center is an uplifting studio with kind, encouraging professional instructors that help you to do your best no matter what level you are at. I especially like the one-on-one instruction offered on the equipment but, working out with a partner is fun too. I always leave feeling invigorated and stronger. I have enjoyed the Pilates Center since it began 7 years ago and appreciate the professionalism and innovation that is always present. I've enjoyed the classes I've taken here and I've taken from many of the instructors. They've been quality classes with clear instruction. The classes have helped me bring my pelvis into balance and relieved my back pain. I went in for my regular adjustment today and I didn't even need one, following a most wonderful class I took yesterday. I can't wait to take my next class! The instructors are friendly, encouraging, and very knowledgeable. Pilates has changed my body and renewed my mind! I am not a fan of traditional workouts and sweating profusely. Yet, I get everything I would get from a traditional workout (and much more) from my pilates equipment workouts. I am longer, leaner, stronger and more flexible. Not only did it get me in shape and is keeping me in shape, it feels good and I look forward to going to class twice a week. I wish I could go three times a week! I have been going to classes twice a week for over six months, which is a testament to how much I enjoy it. I recommend pilates equipment classes to everyone, regardless of age or current body condition. Additionally, the instructors are GREAT and make class even more enjoyable. This investment in my health and overall being is well worth my money and time. I am 61 years old and have fibromyalgia. Stiff and in pain!!! I knew I couldn’t ever vigorously exercise again and besides, I didn’t really feel like it. Since I’ve begun Pilates, I feel stronger, stand taller, have so much more mobility, and the only pain I feel now is that “good hurt” from exercising. The Pilates Center is small and clean and you get such one on one quality assistance. It’s just Pilates, so they know what they’re doing. I love it!!!!! I began Pilates a little over a year ago at The Pilates Center. I love it, and I feel stronger, have more balance and flexibility, and I am much more conscious of my posture. My core is stronger, and I think I have become more aware of using my abdominal muscles. My friends tell me that my arms have much better definition, too! I always look forward to going to class, where the environment is peaceful and clean and where I receive individual attention from my instructor. All of the instructors at the Pilates Center are skilled, professional, and encouraging. Pilates is the first type of exercise that I actually look forward to, rather than dread!" Pilates has completely changed my body and my attitude toward working out! It is the only class I actually look forward to all week long. I have always run and played a lot of sports, but I needed something to help me feel and look lean instead of bulky. Pilates has given me a toned and slender appearance, while also teaching me to appreciate and listen to my body. Pilates has reduced my stress, increased my flexibility and strength, and given me a new appreciation for my body! I look forward every week to my Pilates class. I am definitely stronger and more flexible. It honestly is the only exercise I don't mind doing. My instructor is positive and a motivating force. My forever thanks. I absolutely love Pilates! I am very new to the practice and have discovered for the first time something I enjoy in exercise. It challenges me every time, but engages my mind and body. I feel stronger. I stand taller and just feel better overall. I see results in the way my clothes fit also, but the best benefit for me is how great I feel. The staff at The Pilates Center is wonderful. They have been very patient with me in teaching me, they always pay attention to ensure that I am using proper form and they always find a way to accommodate my crazy schedule. The Pilates Center is wonderful, especially the equipment classes! It has been positive for my muscle tone, balance, posture, and for generally feeling good. Thank you! I have been taking small group classes at The Pilates Center for about a year and a half, and I love going. I feel like I have better balance, am stronger, and I just feel better all over. The instructors are very attentive and professional, and the studio is bright, clean and comfortable. This is a really fun form of exercise, and I always look forward to it! I have been doing pilates at The Pilates Center for over 4 years. The instructors are well trained, the equipment well kept, and the studio has a light happy feel. It’s a pleasant experience every time I go. There are all types of options from private lessons, to group classes - with all level options available. This is a wonderful place to get into and stay in shape. I have been going to The Pilates Center since it opened at the old location. This location is even better and I have always been a happy client. The instructors are very professional and knowledgeable, as well as friendly. This is an excellent Pilates studio. The instructors are very helpful, and the workout is effective and beneficial. A great way to look and feel great. I have been doing Pilates for about 5 years and began at another studio in Fort Worth. It was not until I began doing Pilates with Jenelle Perry at the Pilates Center that I noticed a BIG difference in my flexibility, stamina, and body. 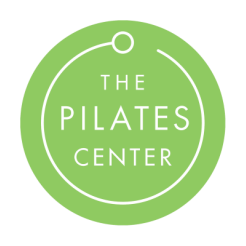 The Pilates Center is very focused on teaching the proper way to do the moves and stretches and they are very disciplined in the way they teach. The studio on Camp Bowie is very bright and the staff is extremely friendly and eager to work with you and help you meet your goals. I really believe The Pilates Center is one of the best in the Fort Worth area. Pilates is the first exercise I've found that made me feel better from the very beginning. I look forward to the classes and even think about the wonderful smooth gliding motion on the reformer to lull myself to sleep at night--it's almost as good as rocking. The studio is a bright comfortable space, there is always a fresh scent in the air and the trainers are professional and encouraging. This is a form of exercise that enhances your quality of life in every way.